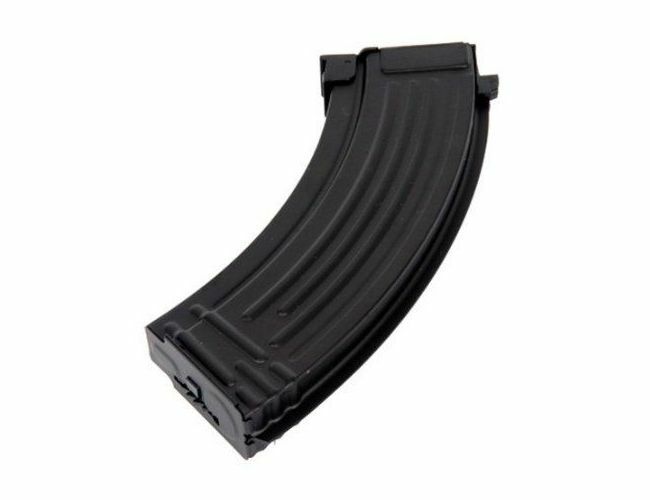 This is a high capacity magazine for players that do not like low cap Airsoft magazines. This is without doubt a Hi-Cap Magazine with 600 round capacity and will give you plenty of ammunition for a game Great for AK series and has a Large thumb dial to allow you to wind it up without thumb fatigue. It takes 6 mm Plastic bb''s and works with most AK style weapons. CYMA CM028 Magazine for Airsoft Gun.